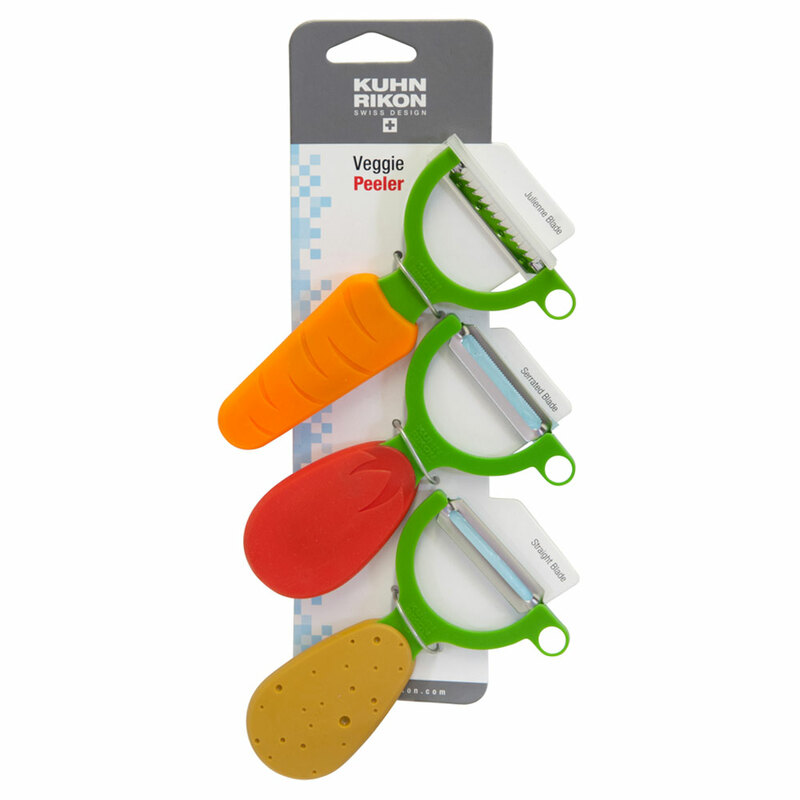 Veggie Peeler from Kuhn Rikon. 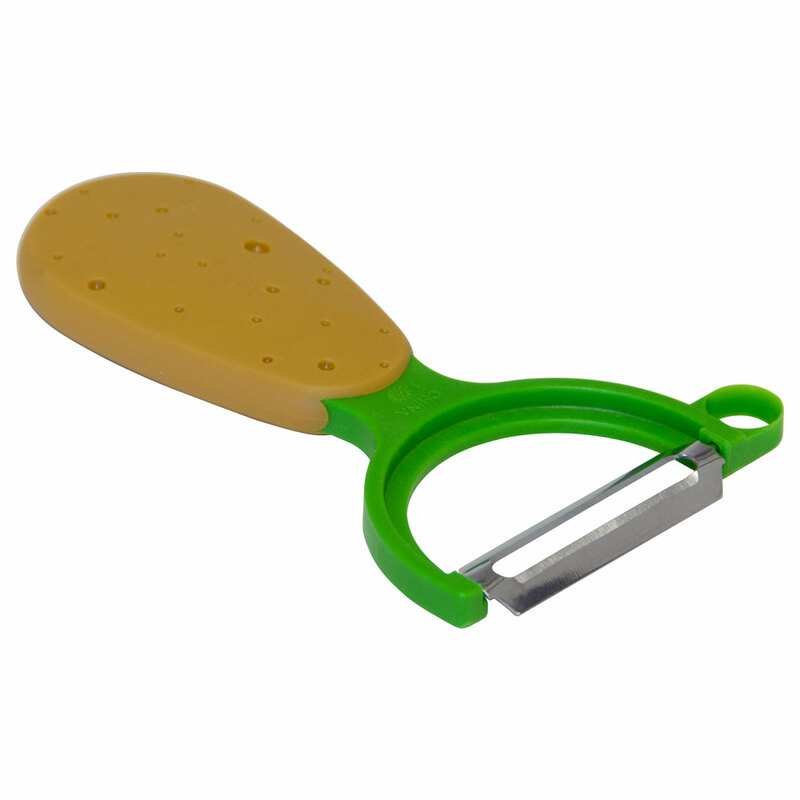 Peels fruits and vegetables effortlessly. 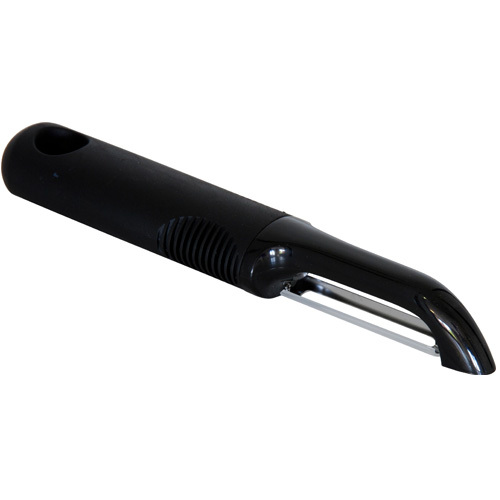 Serrated peeler for softer fruits and vegetables. Dishwasher safe, hand wash and air dry recommended. Warning: Not for children, the blades are very sharp. 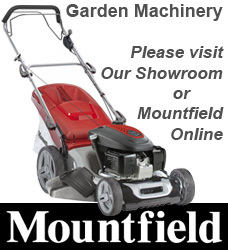 Date First Available: Friday 20 June, 2014.